No Quick Fix, Only Results! I mix a fusion on plyometric training and strength training mixed with suspension and Pilates training to put together a unique combination of fitness training that drops weight and gains lean muscle! Clean eating and hard work is the only way to get to and past the goals one sets for ones self. My workouts are not easy but if you want something, it has to be difficult to earn. I also believe in organizing the workouts and making them different every single time so that the body does not know whats coming next. Nutrition is also outlined and personalized for every client based on their specific needs. I am a certified fitness trainer with ISSA and I am currently working towards a master trainer certification. I am also a certified nursing assistant and I currently hold a position working with cardiac patients at Spohn Shoreline Hospital. Born and raised in Corpus Christi, Tx, fitness has always been a staple in Jay Garcia's life. From his time as a football player in middle school and high school to being a professional ballet/ballroom dancer, Jay has had to keep on top of his health. In 2013, he decided to hang up the tights and help others with fitness and health and became a Certified Fitness Trainer. In a short time became Head Trainer with All Good Gym and and also works as a CNA within Spohn Shoreline. 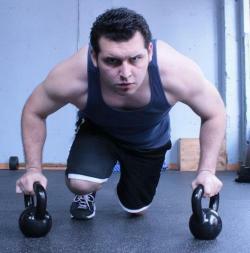 Currently, Jay works freelance as a personal trainer and is working towards a certification as a master trainer.